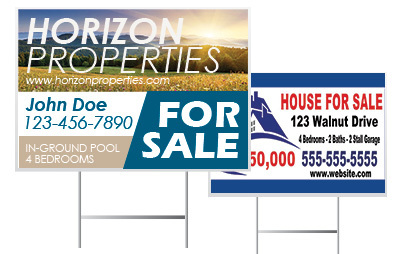 Real Estate Banners & Signs - Easy Online Ordering! Get your properties sold faster with custom signage from Banners.com! 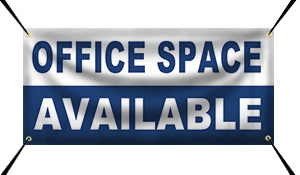 Whether you need yard signs to advertise properties, decals and window perf for your vehicle and office, or vinyl banners to promote open houses, we have a solution for you. We have lots of different products and materials available, so no matter what your signage needs are we can help you out! If you need something that you don't see listed, feel free to contact our customer service professionals! Vinyl Banners are our most popular product. 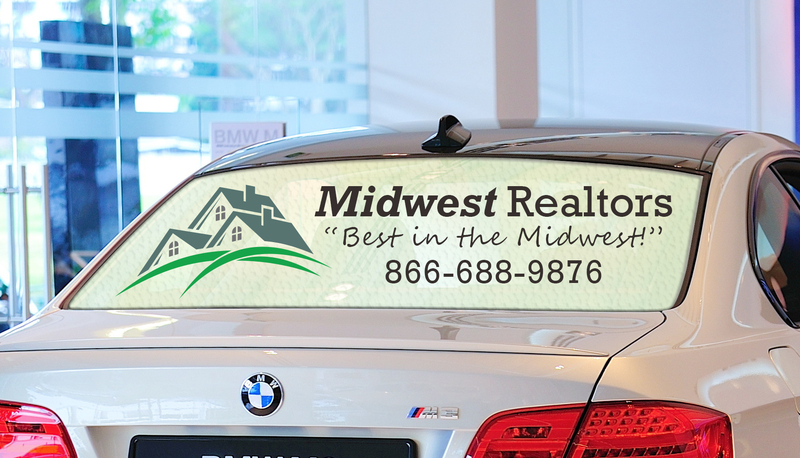 We have a large selection of Real Estate banner templates available to customize in our online designer. Yard signs are also referred to as lawn signs, or corrugated plastic signs. They are durable, lightweight, and waterproof. Turn your office and vehicle windows into prime advertising space with custom window perf! Your graphics will be clearly visible on the outside while still being able to easily see out from the inside. Banners and signs are typically 30-50% less expensive than local sign shops.